Now imagine that there’s a resource, staffed by professionals, available to respond to your personal test preparation questions. What if this resource was completely free, no strings attached? This is a spot-on description of our PowerScore GRE Discussion Forum. In addition to teaching classes and tutoring students, our instructors contribute to our GRE forum in order to give our students (and all GRE/GMAT students) a place outside of class to get questions answered. Everyone has questions about grad school admissions or test preparation. Not everyone knows you can get expert answers on-average within 24 business hours. 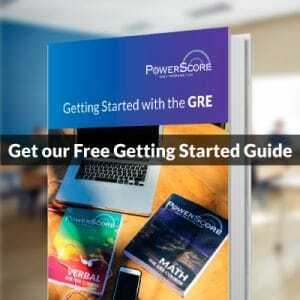 Now that you know about the PowerScore GRE Discussion Forum, let’s talk about how to use it. You’re working through ETS’s Official Guide to the GRE and come across a tough geometry question in a problem set. ETS includes an answer explanation, but their explanation only seems to make the problem harder, not easier. You might want to throw up your hands and come back to it some other time, but it would be much better to figure the problem out right away. 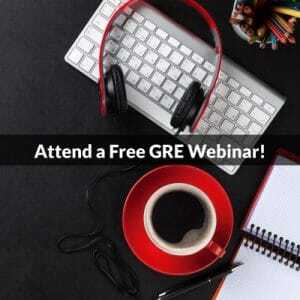 Every GRE problem has multiple solutions, easier methods and harder methods. ETS solutions are almost always the “harder” way. On the GRE forums, first let’s search to see if someone has already asked your question. Maybe the solution is already there! Now let’s choose a category. Scroll down to Quantitative Reasoning and choose Geometry. Let’s title our discussion by including the source of the problem (ETS Official Guide 3rd Ed), the page number, and the problem number. Don’t worry if you don’t get all this down. No matter what, we’ll figure it out! In the box below, ask your question. Remember, you can’t post the text of the problem (that’s ETS’s copyrighted material), but you can explain your reasoning, include your work, and ask any questions about the problem. Post your question. Now just sit back and relax. You will get an e-mail notification as soon as we reply. You just finished one of the PowerPrep exams and have a lot of questions. Guess what. There are already topic headings for each of the free PowerPrep exams, as below. You can browse directly to the question and see whether there’s an existing answer to your question. Even if there is already an explanation, we encourage you to ask your own question too! This way, you’ll get a reply to your specific question, and your post and this new answer will help other students with similar questions. Just as in the first scenario above, that’s it. You’re done. You will be notified when we reply. …but I’m not sure where to post my question! If you’re in doubt about where to post a question, don’t sweat it! Just start a new topic, give it a title, and ask your question. If we need to move the post or organize things differently, we will. That’s our job, not yours! Even if we move your post, you will still get notifications for it. Super easy. Head over to our GRE Forums and check out all the good material that’s already there, including our challenging Questions of the Week. Don’t be shy about asking questions. Your questions not only help you but also other students. The more you ask, the more answers you and other students like you will receive. Anything that is ETS material or PowerScore material is fair game. Any general questions are great too. We hope this article has been helpful, and we’re looking forward to seeing you in the forums!